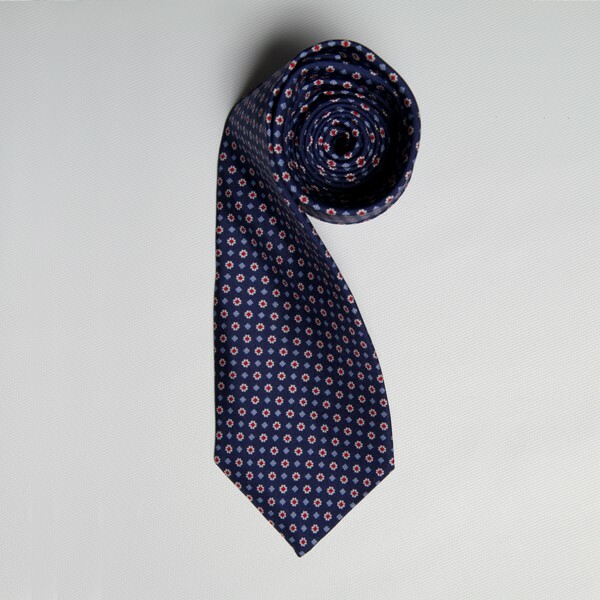 Our Legacy Tie collection features colorful designs printed on 100% Italian silk twill. This tie is constructed with a thin interlining which gives it a luxurious hand and smaller knot. 3.25 inch tie width. Made in Italy.